We are not big fan of fruit preserves or jam/jelly. Reason, both of us didn’t like to start with sweet things in morning of course except Tea with sugar. Rather than spreading jam, we just grab the butter! It really depends on my son’s mood to have P & J for his lunch box! After trying many recipes in microwave for Valli's Microwave cooking event. I found many easy recipes could be done in jiffy. The huge difference is amount of cooking time is reduced compared to the stovetop. Last month, I tried mango chunda in microwave the result was amazing. When she announced this month theme –bottled. I wanted to give a different try out which is preserve. Looking for seasonal fruit, California grown apricots were abundant in farmer’s market. They only appear for short period. Apricots are little tangy when they are unripe. Those velvety fruits grab my attention and i wanted to give a try out for the Apricot preserve. Difference between Jam & preserve: You can find fruit chunk in preserve and the jelly/jam is more like puree, so I prefer the preserve for the consistency. Wash the fruits in running cold water and pat dry with a clean towel. sugar: 1 1/2 cup , increase the sugar level to 2 cups if you love sweet. Take a microwave safe bowl, mix the fruit and sugar together well. Take it out and mix well and keep it back and cook for another 8 minutes. Every 2 minutes, please take out the bowl outside and mix with a clean wooden spoon. After 10 minutes, the mixture will be a preserve consistency. Cool it down and mix the lemon juice, transfer in clean and sterile jar to preserve it. I always store my jam in Fridge. With a fruit preserve, I made this kid sweet snack/Lunch! I am sending this Fruit preserve filled roti to the sweet event series : Rotis & polis hosted by Mythreyee...Another delicious way to stuff your roti! 1.Mix sugar and flour together. Mix the water slowly until you form a nice dough. add the oil on top and let it rest 30 min. 2.Take a small ball out of the dough and roll a thin chapati (roti). 3. spread some preserve in the rolled chapati and make another one to cover it. 4. Wet slightly the edge of chapati filled with preserve and place the other one at the top and seal it. 5.Heat a pan and cook the roti until they turn brown on both side. Can be eaten plain or with more butter and preserve on top. I really woke up this morning with two Big Hugs .One more to be added in my list given by JZ who never deceive me with her treat and the second hug comes by Madhavi. Wonderful looking Preserve, we can control the sugar when made at home. I love a good lunch later in the afternoon. Great entries, I made a similar sweet chapati too! AshaThank you very much for such a warm hug! Right, i really made for my sweet level and love it for the mild sweet and much fruity flavor :) You re like me, i go directly for lunch at sharp 12 pm! This one is looking beautiful jam..WIll try with apricot soon.The rotis too looking pretty.Congrats on ur award Cham. Great Preserve, Cham! I love the color and the fact that its ready in 10 mins with just a couple of ingredients.. 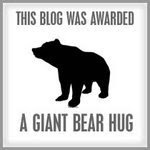 I'll try soon..
nice preserve and love the way you used for sweet roti...great entries..
Cham , one more bear hug from me... Im sorry that I never took out the time to go through your blog.. so its time I do that, after rc,nupur, its your turn!!! the preserve looks yummy!!! Lovely preserve, me too made it but next time use microwave.Hey Roti sounds awesome.Try that soon. Cham..thats excellent...lovely to actually know cooking time is reduced so much!..thanks for the lovely entry! The sweet roti looks delicious. Nice lace-like look at the edges. What a beautiful colour that preserve has Cham.. and nice idea to make a sweet roti. Am sure your son enjoyed it. delicious preserve and fantastic sweet roti Cham dear! Congrats on the award! A biiiiiiiiiiiiiiiiig hug from me too! Beautiful jam Cham, roti looks great too. Will try soooon!!! wooo..today am going to try with strawberries....and fantastic sweet roti..congrates on ur award..
What a beautiful colour. and perfect filling for a missi roti Cham. preserve looks yummm and I bet it would taste delicous. 10 mins to make it is really amazing.love the idea of sweet roti. thanks. Looks too too delicious cham..Love that sweet poli..And time for me to make preserves at home I guess. Wow, Apricot preserve looks so nice Cham !! Need to try !! Chapathi very well presented !! Feel like having it :)!! cham is there a change in ur profile pic or am i just imagining? Lovely preserve, Cham! It's so good to make a preservative free version at home! That's looks real yummy cham. Haven't ever tried something like this in the micro. There's so much to learn here in the foodies world. Hi Cham, the preserve looks nice and its appears easy to make. Thanks for the recipe! And I really loved the stuffed rotis. The way you pinched the edges make them look like a pie :) Sweet! Th preserve looks perfect and delicious..Feel like preparing it too and you make it look very simple!! Swati Garg Ha ha not imagination, i changed my profile pict! Very easy and healthy preserve Cham. Wonder what I can do with a big packet of dried apricots! Reg. YRR, please send vegetarian entries. Thank you very much.